We've had a great time attending the Chocolate Fest here in NY - and here's your chance to take advantage of an after-show sale! Our set of 2 cotton candy soaps will be sure to put a smile on your face - and theirs! 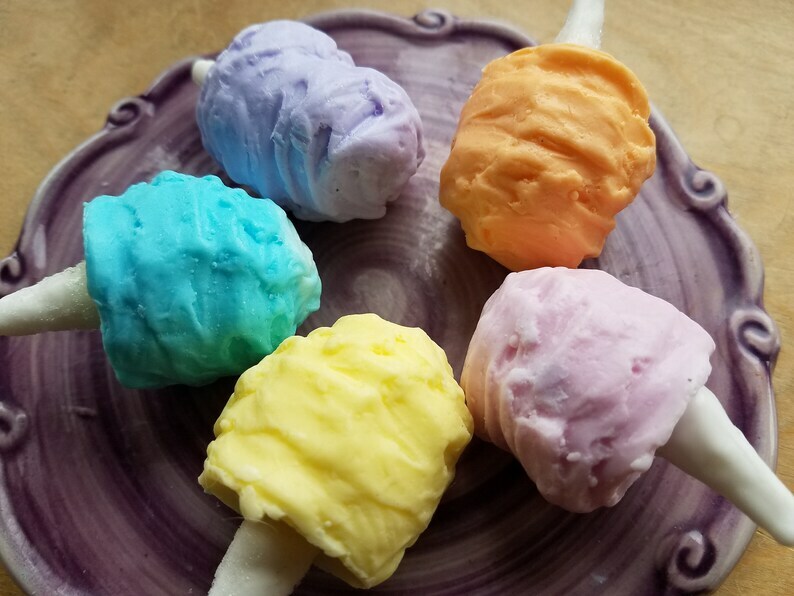 Ideal for Spring, a variety of beautiful pastels, all scented with our Cotton Candy fragrance oil. You'll receive a set of 2 candy soaps in assorted colors. We'll surprise you with 2 beautiful shades that will make your mouth water! This is the perfect opportunity to stock up on our sweet soap for the holidays- what a great Easter basket filler! Keep in mind that we always combine shipping on multiple purchases, too.